Shipping Services in DC, MD, VA. Ever given thought to why so many businesses and regular people choose air freight over other forms of shipping? 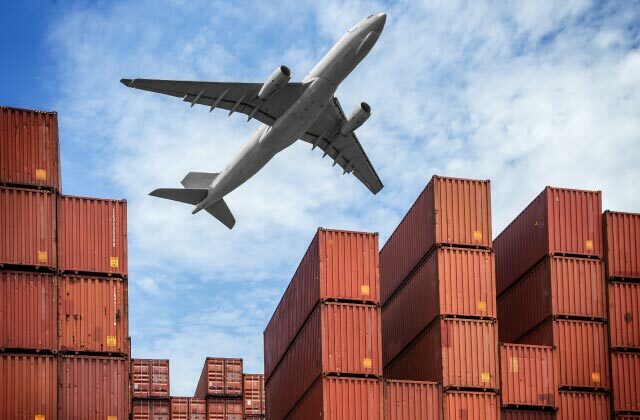 Well, among other things, air shipping is one of the key areas that has witnessed significant advancements in the past century, and the benefits it offers are equal to none. It’s also good to point out that air freight shipping makes up over 35% of all trade. In essence, about $6 trillion worth of goods are transported throughout the world via air shipping — now that’s huge! That being said, you’ll want to kick your international shipping up a notch by engaging the services of a reliable air freight company — you wouldn’t want to miss the opportunity if you’re dealing with higher volumes. Still contemplating air freight services? Here are reasons to take the plunge right now. Looking to transport shipments in record time? If so, you’ll want to settle for nothing less than air freight. For the most part, you can choose to send cargoes across the world in just days, unlike ocean shipping that typically takes weeks or months. The bottom line? Air freight shipping is your best bet if you have tight deadlines or need to deliver goods on short notice. Air freight also gives you the opportunity to reach just about every location you can think of. In essence, you stand a better chance of sending shipments to both big and small countries of the world. This can mean a lot to businesses looking to expand their reach and satisfy the growing demands of their clients. When you engage air freight services, you’ll find that tracking your package and following its expected delivery time will be a walk in the park. For the most part, you’ll be very much aware of what flight it’s on when it takes off as well as when it arrives. The bottom line? Everything will be as smooth as can be. As mentioned earlier, air shipping boasts quicker transit times, making the best option for those looking to save on insurance. In other words, the speed of air shipping attracts lower air freight premiums, and that’s great for your wallet. Another highlight of air freight is its lighter packing requirement — you won’t have to go overboard with packaging since there are no bumps or drops in the air. This amazing benefit will be especially handy to manufacturers looking to save more on freight costs — lighter shipments are less likely to burn a hole in your wallet, and that’s huge. Worried about your goods getting lost in transit? Well, don’t be! You should know that air freight services place more emphasis on tracking and security, so you can rest easy knowing that your package is in good hands. The bottom line? Airport security is a top priority, so it’s only normal for your package to be handled with utmost care. If you got a small business, you’d be glad to know that international shipping by air freight will cut down the need to stock up in anticipation. In essence, faster arrival and departure of cargo is bound to make inventory management as natural as can be and that’s great for business. What could be better than an easier way to adapt to buyer trends, seasons and the like? As a full-service shipping company, we offer an extensive range of air freight shipping services to both residential and commercial clients — it’s all up to you to reach out and tell us exactly what you need. When you choose us, you can rest easy knowing that your cargo is being handled by seasoned professionals who have what it takes to ship anywhere and everywhere. Don’t hesitate to get a free quote right now — it’s about time to start saving time and money. 1Stop Pack N Ship, previously Metro Postal is Montgomery County’s premier packaging and shipping center, serving the Washington DC area.